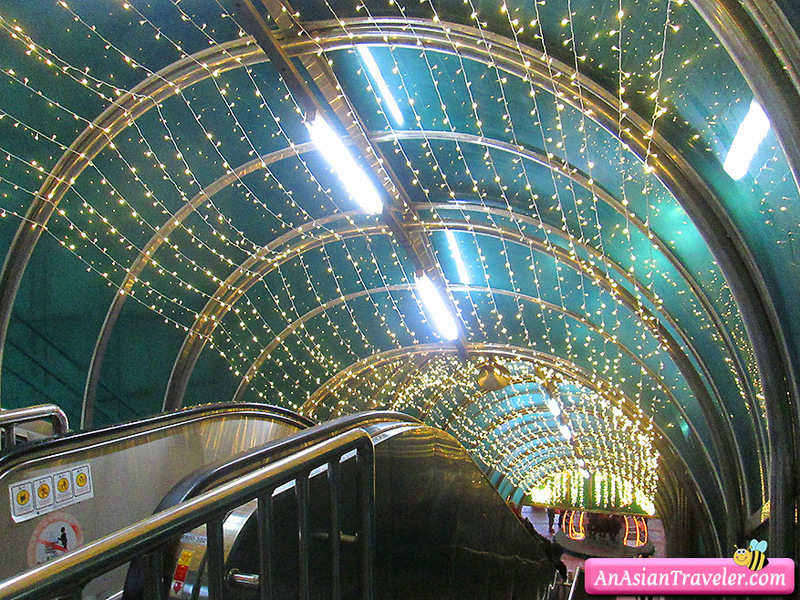 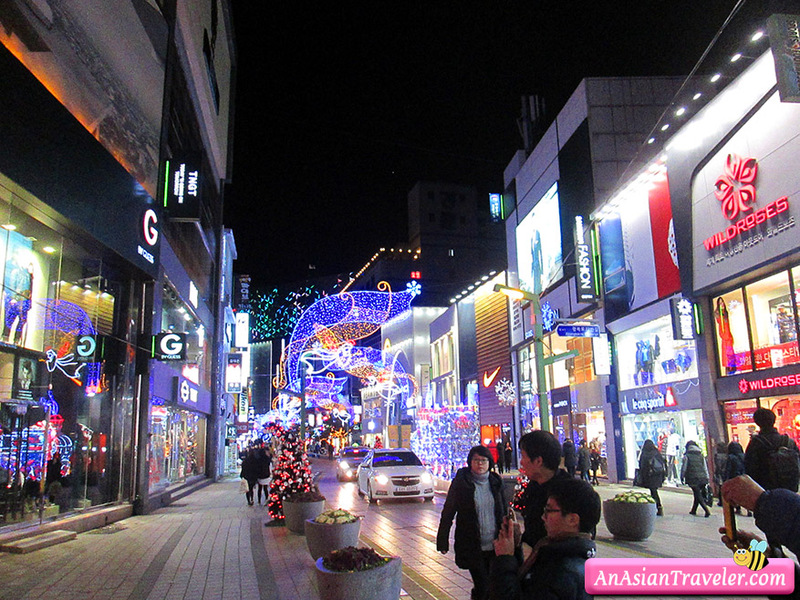 👫 Yongdusan Park stretches to the escalator access- descending to Gwangbok-dong Cultural and Fashion Street. 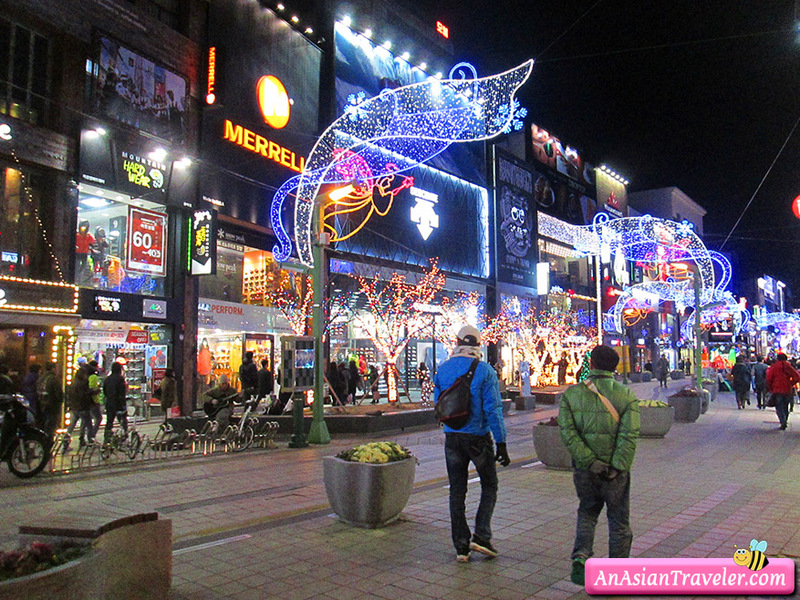 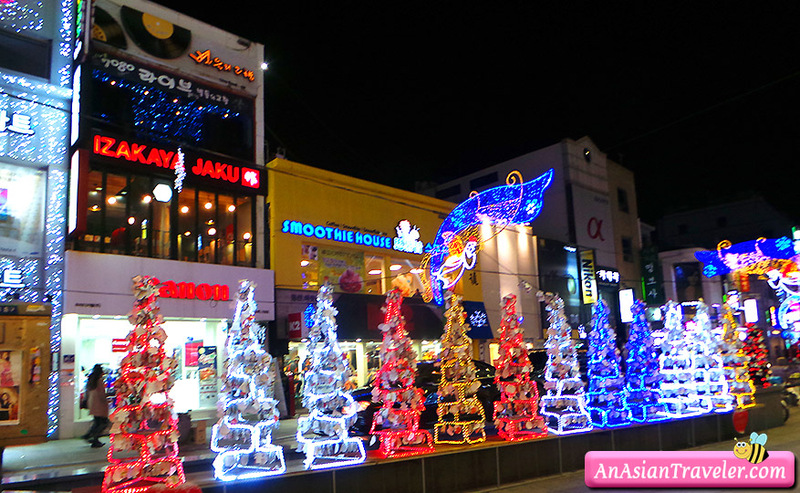 This area is more like a smaller version of Myeongdong in Seoul that is filled with shops and boutiques. 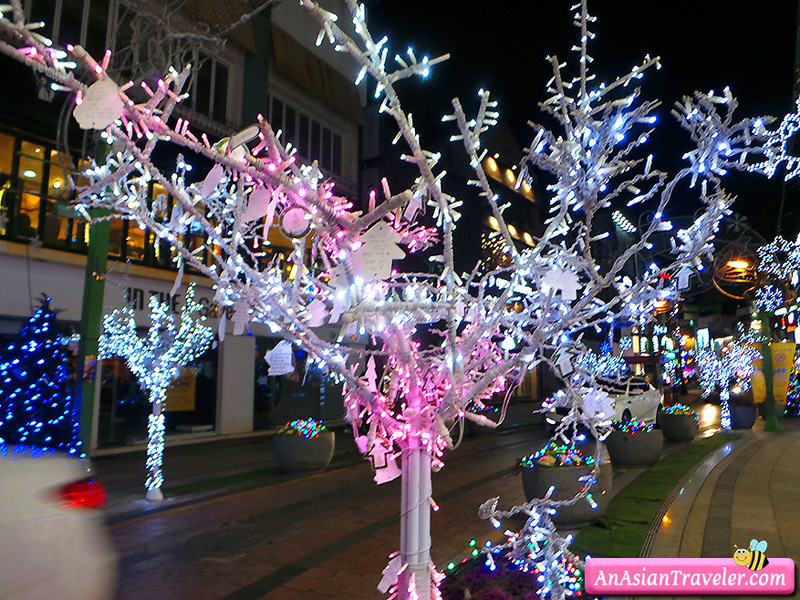 But it was magical because the street was decked out in Christmas lights and tons of holiday ornaments. 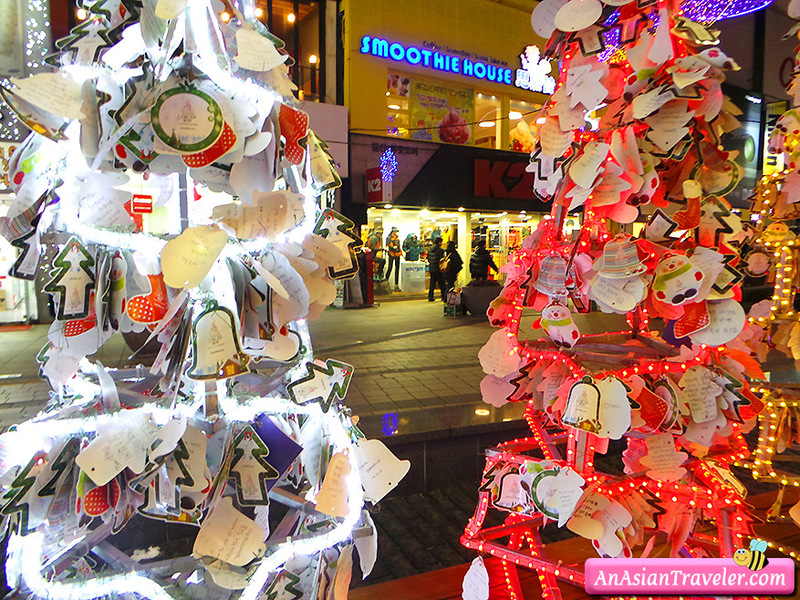 People also wrote their wishes on cards and hung them on Christmas trees. 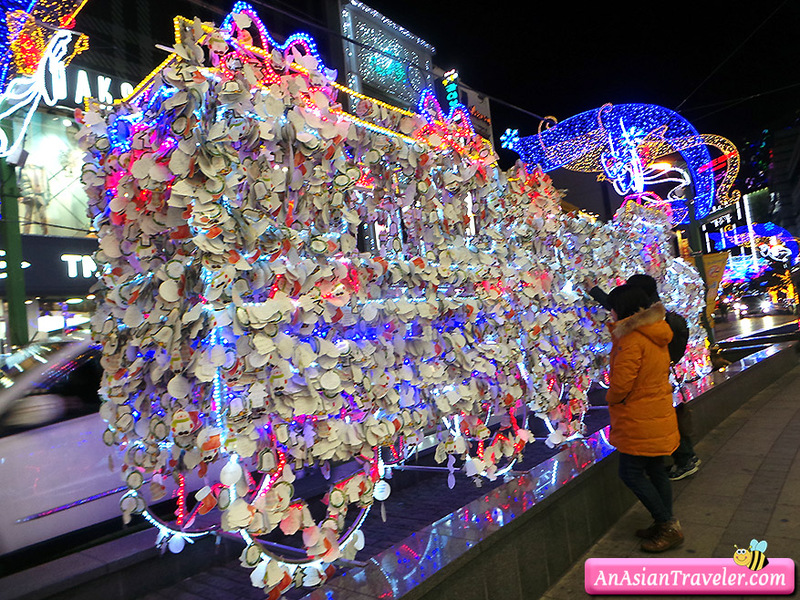 It amazes me to see Korean people embracing the joyous spirit knowing that many of them are Buddhists.